A Diploma is a certificate provided by educational institution/university to a candidate testifying that he has completed the specified course effectively and thus confers an academic degree. The diploma courses provided in India are Under graduation diploma and post-graduation diploma in Travel and tourism, Dietetics, Bioinformatics, Hotel Management, Library science, Retail Management, Journalism, Mass Communication, Nursing, Interior Designing, Psychology, Management courses, Financial Management, Business Administration, Accounting Courses,Medical science, Public relation, Event management courses, Cinema and television courses. After undergoing and completing a series of classes, both theoretical and practical aspects in a particular field successfully a diploma certificate is issued. Certification is the verification of certain characteristics of an object, person, or organization. Most common type of certification in modern society is professional certification, where a person is certified as being able to competently complete a job, basically by passing an examination. After passing an examination some certifications are valid for life time. Others are valid for a particular period, after completion of the period one need to re-certify themselves by writing the examination. Certifications differ within the profession by level or specific area of expertise. Types of certifications provided in India are Academic degree, film certification-also known as motion picture rating system, Music recording sales certification such as "Gold" or "Platinum", Digital signature in public-key cryptography, cyber security certification, Product certification and certification marks, culinary certification, professional certification. Depending upon the universities some programs are called as diploma programs while others are called as certified programs. Basically who has a degree but interested in updating the knowledge goes for certificate program. Make yourself more marketable to employers by gaining diploma and certificate programs. "Following is the list of Diploma and certification colleges in India. All Diploma and certification are divided states wise. 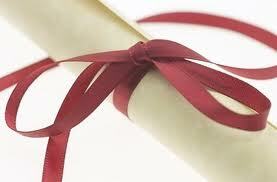 To view Diploma and certification college in a particular state click on the link of that state. The number of Diploma and certification in any particular state is mentioned in front of the link. If you come across any Diploma and certification in India which are not found from our list below, please do let us by using add in list which is default in our website".